How cool is it that the 2011 Tampa Bay Rays home Opener is going to be on April Fool’s Day….and it’s a Friday! What a way to begin the 2011 season, with a banner raising and a few pranks, jokes and maybe even a Garfoose sighting. Even if all, or none of that happens on that first day of April, the Rays Republic will again have some nifty giveaways and promotions to fill our Fridays and Sundays.Now these are not the only days that giveaways will be dished out to the Rays faithful, but on Wednesday, June 29th and Thursday, August 4th, you know that the masses will be all carrying those famous Rays chertiest as the Rays bring back another great “Park & Recreation Day” environment within Tropicana Field. Too bad Zach Grienke went to Milwaukee. We all know how much he simply loves those banging monstrosities while pitching. Starting with the traditional schedule magnet given out on that first night, really quickly the Rays promotions machine kicks into high gear, even during that first weekend. 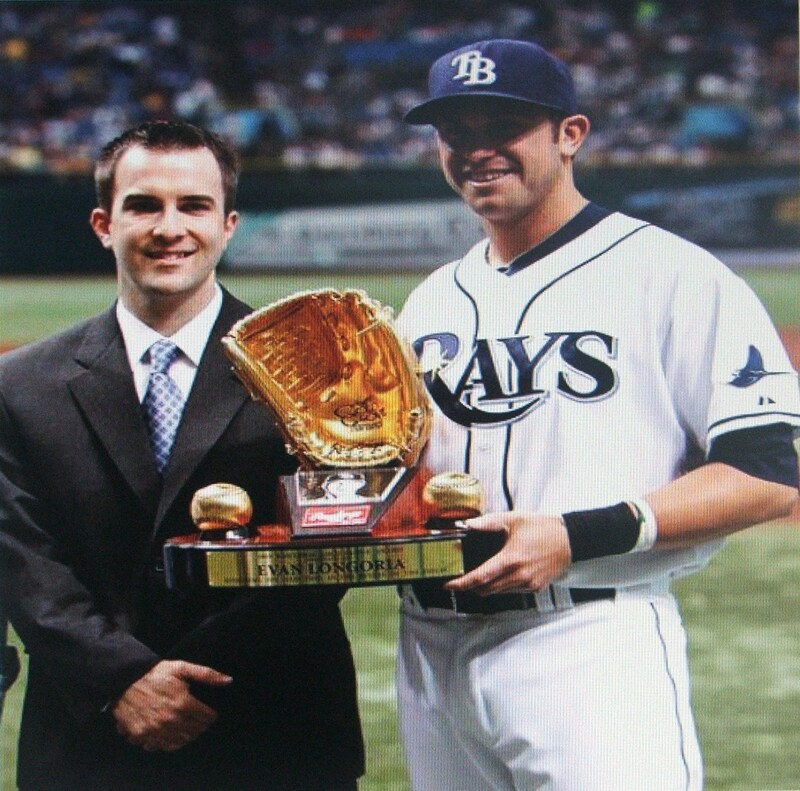 On the next day, Sat, April 2, the first 15,000 Rays Fans will receive an Evan Longoria Gold Glove replica presented by DEX Imaging. But the fun doesn’t stop there, on Sunday the Rays will distribute special American League East Banners provided by Rays sponsor Sweetbay Supermarkets. But back again for another go-round is the popular T-shirt’s given out on Friday night games. In all a total of 12 different designed Rays inspired T-shirts will be given out to the first 10,000 lucky fans thanks to the good people at Captain Morgan’s , who presides over the Friday Fest festivities with glee. The only exception in the T-shirt promotion this season is that on May 13 and August 5, the first 10,000 women will receive the giveaway T-shirts. 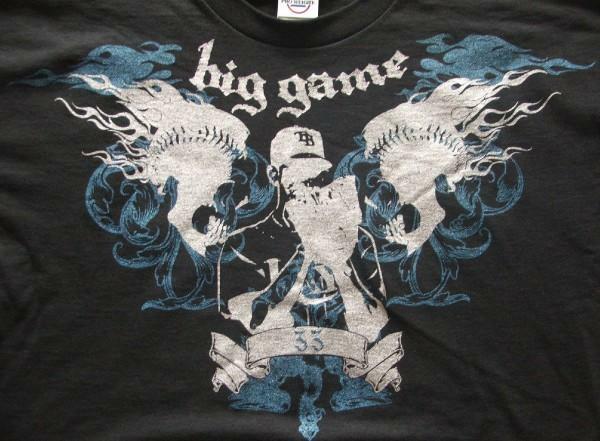 Hopefully the Rays have inspired Rays starter James Shields to again design a special T-shirt with Rays fans in mind. The 2010 black T-shirt featuring a downward facing griffin was one of the most sought after T-shirts in the Tampa Bay area schools. Could the Rays have gone to the Shields well twice and come back with another gem? You will have to wait and see. 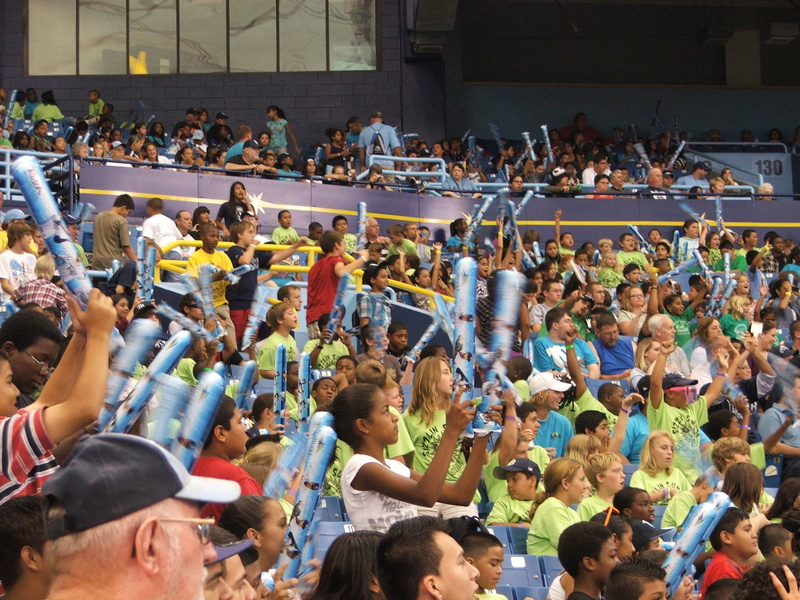 Kid’s again play a significant part in the Rays promotional items as 12 items will be geared towards the younger Rays fans, with the last promotion on Sunday, September 25th being decided by a vote by the Rays kids. But in between The first week in April and the last weekend in September, there will be a very interesting assortment of promotional items just for those 14 and under. Kids will be able to get a Rays fire hat ( 9/11/11), or possibly a David Price Superhero Action Figure (8/21) or maybe they are more into linens, like a Raymond pillowcase (May15). Also on tap for the kids will be a Joe Maddon Bank giveaway (5/1), A David Price Arm Sleeve (4/17) and the always popular Raymond’s Back-To-School Set (8/7). But it doesn’t stop there. 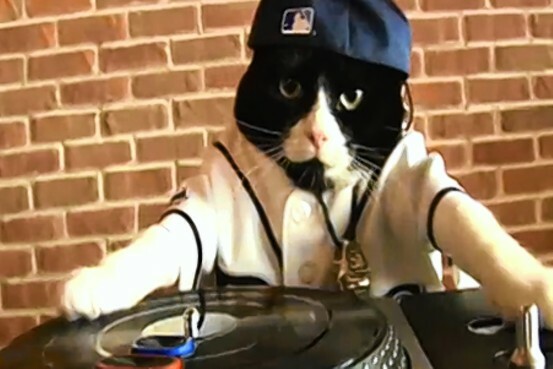 Kids can also be the envy of their friends on Sunday July 3, when the Rays give out an exclusive DJ Kitty Puppet. But you didn’t think we would stop there did you? Riding on the heels of the best baseball promotion in 2010, the Rays have stepped up their game and will present kids with an Evan Longoria Cereal Bowl and Spoon set on September 4th. But the hits just keep coming. Back again will be a grand assortment of bobble heads starting with a wobbly-headed doll of new Ray Manny Ramirez on May 29th followed three weeks later by a B J Upton bobble head (6./19). And it wouldn’t be the Rays if they did not also provide a little more, like a Johnny Damon Bobble head on July 17. Again, the Rays have stepped into the box and cracked the ball over the centerfield wall possibly again having some of the best promotions in baseball. Over the years we come to expect the unexpected from the Rays promotions department. Again they pulled a big white rabbit out of the hat and provided some great incentive for the Rays Republic. From the T-shirts and bobble heads all the way to their unique variety of trinkets and toys for the younger crowd, the Rays Promotions team have delivered…just like you knew they would. Still patiently waiting for a vuvuzela promotion. What? something has to freeze over before that is approved….okay I can wait.